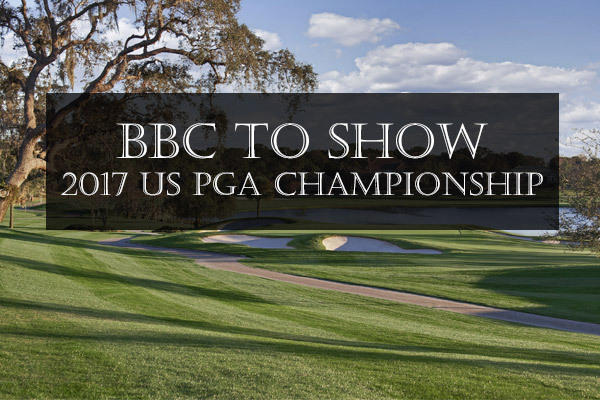 BBC confirmed today that it is to show The US PGA Championship live across its TV, radio and broadcast channels between 10th – 13th August 2017. The change in broadcaster is one of the biggest developments in golf coverage in recent years following the news that The Open, a traditional staple of sport on BBC, was going to be shown on Sky Sports from 2016. The move has been well received by golfers with 79% saying that this was “good for golf” and only 21% disagreeing in a recent twitter poll following the news. BBC to show #USPGA live – is this good for #golf? 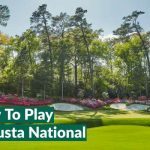 Viewers will get to experience a different viewing experience, courtesy of the coverage being led by Eilidh Barbour, who took over from Hazel Irvine following her retirement, as well as familiar faces and voices of Peter Alliss and Ken Brown who will no doubt be bringing us his famous “Ken on The Course” segments. 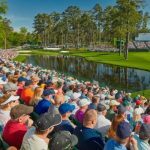 The broadcast will see UK golf fans enjoy free-to-air TV coverage for the first time, having previously been shown on Sky Sports. With The Open now being shown exclusively live on Sky Sports, this is a step change for golf to reach a wider audience. This can be seen in viewing figures for Zach Johnson’s 2015 victory at St Andrews being over 4-times higher than Henrik Stenson’s victory at Troon in Sky’s first year of live coverage of The Open. This sees marked change in the BBC’s fortunes following comments from The R&A’s Chief Executive, Martin Slumbers, that the BBC’s coverage of The Open was “tired and outdated”. The debate around golf on The BBC and Sky Sports seems to be that whilst Sky’s investment in production has certainly led to a better viewing experience, with The Open Zone in particular being a highlight, the fear is that the lack of free-to-air coverage might reduce the opportunity for new comers to be introduced to the game. The 2017 US PGA Championship will have a little extra spice this year courtesy of Jordan Spieth’s victory in The Open Championship at Royal Birkdale. Spieth has now claimed three of golf’s four Major Championships. A win at Quail Hollow will see Spieth achieve golfing legend status as he would join the likes of Jack Nicklaus, Tiger Woods, Ben Hogan, Gary Player and Gene Sarazen as someone to have won all four Major Championships in their career. Bobby Jones, the trail blazing amateur, is credited with having achieved a unique Grand Slam in 1930 courtesy of winning The US Open, US Amateur, The Open and The Amateur Championships, this feat was triumphing in all of the Major events of his time with Grand Slam perceptions changing following the creation of The Masters at Augusta National, a tournament and course Jones co-founded. 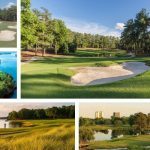 Quail Hollow Golf Club, the host of The 2017 US PGA Championship, is located in North Carolina and is a regular stop for The PGA Tour. Previous victors at the course include Vijay Singh, Tiger Woods, Rory McIlory and Rickie Fowler. Scoring is expected to be good against the par-72, 7,400 yard layout which has a course record of 61 which McIlroy achieved on his way to claiming his 2nd title at Quail Hollow in 2015. 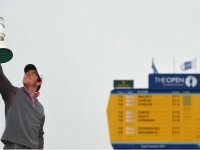 The BBC highlights show of The Open was far superior to Sky’s coverage. Both in picture quality and entertainment value. That’s my judgement having watched both.